"This personal witty and insightful book teaches us about the fears that drive failure and the self-awareness that can help us navigate it. The great point about this book is that it is both philosophical with regards the nature of fear and its impact on achievement, and practical. For those that may be paralysed by a fear of failure, it offers a way through." —Luke Johnson, serial entrepreneur, Financial Times columnist and Chairman of the RSA"This powerful, insightful book shows you how to unlock your unconscious brakes and step on the acceleration of your true potential!" —Brian Tracy, author of Maximum Achievement"Kelsey offers a successful and eloquent analysis of fear of failure as a mass condition in the modern world, and one we ignore at our peril." —Donald Kirkpatrick, psychoanalyst and a founder of the London Association for Counselling and PsychoanalysisDo fear and doubt hinder your progress in life? Are you paralyzed at key moments by your insecurities?Millions of smart people are held back from achieving their potential by a fear of failure. Many of them don't even realize that this recognized condition is limiting their progress.What's Stopping You? offers no quick-fix solution. Why? 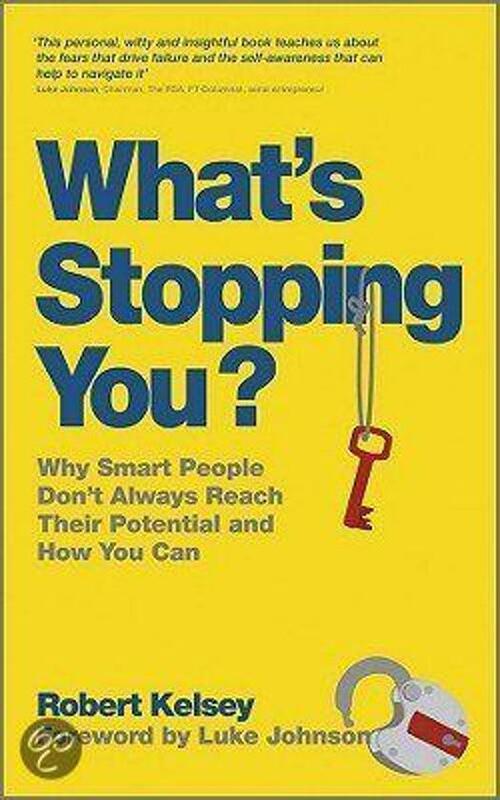 Because the key to unlocking you potential for success lies in understanding the root causes of the fears and insecurities that hold you back and in accepting who you are, rather than trying to become someone you are not.Based on extensive research, recognized science and stark reality, this book will help you navigate the barriers that hold you back: at work, with people and in life. "Robert Kelsey has combined thorough research, careful thought and the lessons of his own experience to produce a valuable, original and eminently readable book. 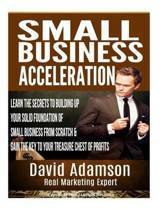 I can strongly recommend it to anyone whose progress has been impeded by fear of failure." —John Caunt, author of Boost Your Self-esteem"Confidence is the ultimate secret weapon of any successful entrepreneur. If Robert's book can help you find yours then it will be worth its weight in gold."